The new Toxic Substances Control Act (TSCA) requires the EPA to initiate the prioritization process for 20 chemicals as candidates for designation as high-priority substance candidates. Table 1 contains a list of these substances. Currently, all of the chemicals listed in Table 1 and Table 2 have a status of “initiated,” meaning the agency has started the first step of the prioritization process, and the chemical is currently undergoing a screening level review of reasonably available information to inform its priority designation. From there, the list will be updated to “proposed” and “high/low.” A proposed status indicates the second step of the prioritization process, when the EPA suggests a chemical’s designation as either high- or low-priority for risk evaluation. The setting of a high/low rating is the final step of the prioritization process for risk evaluation. Table 1. The EPA has initiated the prioritization process for 20 chemicals as candidates for designation as high-priority substance candidates. After a detailed screening process, the EPA identified a candidate pool of 20 chemical substances as candidates for low-priority designation. 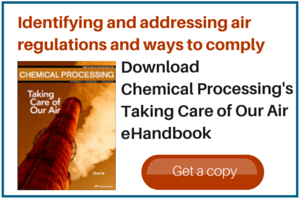 The EPA used data sources to obtain “reasonably available” information for evaluating candidate low-priority substances consistent with TSCA Section 6(b)(1)(B) and implementing regulations. The agency encourages submission of additional information relevant to low-priority substance designation. The EPA initiates the prioritization process for the following 20 chemicals (Table 2) as candidates for designation as low-priority substance candidates. Table 2. The EPA has begun prioritization process for 20 chemicals that could be deemed low- priority substance candidates. As required by TSCA Section 6(b) and consistent with the prioritization screening review procedure, the EPA must undertake a process, including requesting public comment, leading to the designation of at least 20 high- and 20 low-priority chemicals for risk evaluation. This process must be completed by December 2019. The March 21, 2019, notice initiates this process; interested persons have until June 19, 2019 to comment. The list of chemicals suggested for high-priority consist of several groups of related chemicals (eight halogenated organics, including two dichlorobenzenes, three dichloroethanes, a dibromoethane, a dichloropropane, and a dichloroethylene, and five phthalates) and seven other chemicals, including three flame retardants (both halogenated and non-halogenated), two chemicals used largely as chemical intermediates (butadiene and phthalic anhydride), a fragrance ingredient, and formaldehyde. None of the chemicals selected is particularly surprising. Similarly, the low-priority candidates merit review and EPA’s selection of low hazard substances should make the process easier. Stakeholders with interests in these chemical substances need to engage and appreciate the significant implications of the EPA’s review. The high-priority chemical evaluations will almost certainly result in risk mitigation measures of some sort that will have commercial and market access implications. Similarly, EPA’s review of low-priority substances will not go unnoticed. It’s imperative that stakeholders engage and ensure the EPA is provided the best and most current information to assist in the risk evaluation process.